Hosted by LicataRisk, Anderson Kill and Partner Engineering. Happy hour on the docks of Boston Harbor! 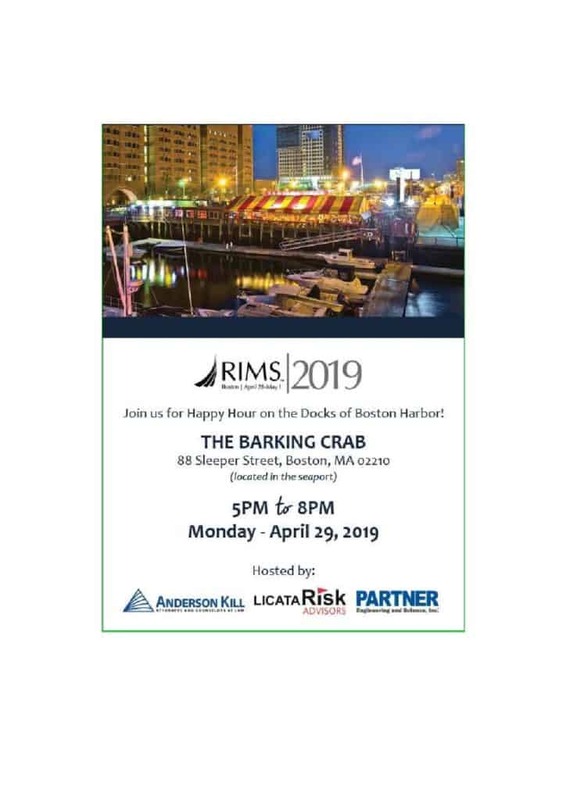 If you’ll be at RIMS in Boston this year, please contact Breanna Marshall at [email protected] to attend.